Photo provided by Prof Mike Young. James (Jim) Carvel McColl was appointed as the Director of Agriculture and Fisheries from 1 July 1976 following the retirement of Marshall Irving in February 1975. McColl was the first Director of Agriculture to be appointed from outside of the public service since 1905 and had a very strong commercial background. In September 1985 he resigned from his position as Director General of the Department of Agriculture. Jim McColl grew up in the Melbourne suburb of Essendon, and studied for his Bachelor of Agricultural Science degree at the University of Melbourne on a cadetship awarded by the Victorian Department of Agriculture, graduating in 1956. From this foundation he built a long, varied and outstanding career in the service of Australian agriculture. His first job was with the Victorian Department of Agriculture in the irrigation research and advisory unit (from 1956 to 1963) based in the Goulburn Valley and at Werribee near Melbourne. He developed an increasing interest in farm management which led to farm consulting in both Australia and overseas (Thailand and Indonesia) from 1964 to1976. He was a pioneer in the consulting movement following the earlier development of Farm Management Clubs. He was convenor of the consultancy section of the Australian Institute of Agricultural Science. In 1973 he was appointed senior lecturer in farm management economics in Melbourne University’s School of Agriculture, while maintaining a part-time consultancy business. In 1974 he gained a Master of Agricultural Science degree in farm management. His outstanding contributions in the field of farm management economics, extension, rural adjustment and water management led to his election in 1989 as a Fellow of the Australian Institute of Agricultural Scientists and Technology (AIAST). In 2013 he was awarded the Medal of Australian Agriculture from the Australian Institute of Agriculture (AIA). In 2013 he was also appointed as an Officer in the Order of Australia “for distinguished service to primary industry through policy and strategy advisory roles in the agriculture, fisheries and natural resources sector, and to conservation and the environment”. Jim McColl’s management style was always consultative and based on effective communication. He sought to build competent teams to tackle problems and tasks, but also had a clear vision of the objectives and knew when to bring matters to a head with strong leadership at critical times. He was an advocate for greater involvement with industry and using their inputs in planning. He understood extension and the need to understand farmer issues when delivering the message. Not surprisingly this had a strong farm business, profit and risk management flavour. The period 1976 to 1985 was characterised by significant growth in agricultural production during a time of great socio-economic change, particularly in the areas of interest rates, exchange rates, deregulation, subsidies to agricultural production and imposition of trading restrictions by a number of Australia’s major trading parties. Much of Australia was in serious drought in this period. At the commencement of this era there was a global surplus of food supply over demand for many commodities, notwithstanding the uneven distribution of the supply across developing countries. This resulted in large reserves of some commodities (particularly grains, dairy products and meat), depressed prices, and pressures on South Australian producers to remain competitive. Into the 1980s the supply and demand pressures evened out, with transition from a 'buyers' to a 'sellers' market for developed and exporting countries. Productivity improvements were achieved at a time of increases in the cost of land, more capital intensive farming systems, and greater costs of fertiliser and chemicals inputs. The 1970s and 1980s heralded a period of progressive reduction in the levels of protection within Australia while our major trading competitors generally maintained high levels of protection or totally denied market access. Phytosanitary restrictions were commonly used as a barrier to trade. This was particularly the case with the European Economic Community (EEC) and Japan. Other major trading countries such as the United States and Canada, as well as much of the EEC, were providing high levels of financial support to their agricultural sector. Balancing the difficult export market conditions, all import competing industries were facing greater international competition, providing a benefit to agricultural industries at the expense of the Australian economy overall. The impact of the EEC commenced in 1958 when a small number of countries agreed to establish closer economic and social ties. However it was not until 1973, with the entry of the UK into the EEC that the impact on Australian exports became profound and deteriorated as other countries joined the EEC, especially for dairy, canned fruit, meat and sugar. From this time, The Commonwealth government through the then Bureau of Agricultural Economics prepared numerous papers with states support showing the extent of trade distortions created by the EEC policies. Closer Economic Relations with NZ was formally agreed to in 1980 and facilitated trade between Australia and NZ. Trade in both directions increased progressively over the following years. Australia experienced some of the highest volatility in interest rates and exchange rates in the 1970s and 1980s. Exchange rates in mid 1975 were around 1.3 AUD to the USD, remaining around 1.1 between 1977 and 1982, then fell progressively to 0.66 by June 1985. Over the same period interest rates started around 8.75%, increased to 15-16% by the early 1980s peaking at 21-22% in 1982 before dropping to around 15% by 1985. Reflecting a perceived high risk in the farming community, interest rates were frequently higher than the standard rate, placing considerable cost burdens on agricultural producers. This shift coincided with drought across parts of Australia. Some farmers attempted to secure capital on the advice of Australian banks by borrowing in overseas currencies with lower interest rates, but then found themselves in difficulties when exchange rates changed and the borrowed overseas capital became much more expensive in Australian dollar terms. The high and volatile cost of borrowing money created financial risk management difficulties for farming enterprises and marketing and exporting businesses. For most of the McColl era, growth in the global economy remained fairly static with actual growth often less than the forecasts. Unemployment in some developed countries reaching 10%, influencing demand patterns in those countries. The 1980s were characterised by substantial investment by both the private and public sectors into new scientific technologies such as genetic engineering, cloning and gene discovery. Scientists were very confident that genetic technologies would revolutionise plant and animal production but were not prepared for the consumer backlash. For most of the McColl era, scientists were solely focussed on the technology, not being overly concerned about the public response. The commercialisation of genetic technologies did not occur until after the passing, by the Commonwealth, of the Gene Technology Act in 2000. Subsequently legislation was passed in many Australian states preventing the use of genetically modified crops in food products. At the national level the period was characterised by comprehensive agendas of the Standing Committee on Agriculture (meetings of Agriculture Department Chief Executives, some other Commonwealth Departments and CSIRO) and the Australian Agricultural Council (meetings of Commonwealth and State Agriculture Ministers). Many of the global trade, market access and micro-economic reform agendas could not be easily resolved at the Commonwealth Government level alone, and required a high level of collaboration between the Commonwealth and States. Most states maintained industry specific marketing organisations and co-operatives, and many of the national industry marketing arrangements were not functioning effectively due to global issues and pressures. For a number of industries there were strong legislative arrangements that determined the levels of production. There was considerable industry resistance to proposed changes, often leading to differences between the Commonwealth and States agencies as well as between states with conflicting policy positions. Livestock breeding, specification and marketing. This was a period of great reform in terms of the specification of livestock quality, the inspection of livestock at the point of slaughter, and implications for breeding, selection and production programs. These reforms were driven by difficulties being experienced with meat quality, food safety and meat substitution practices on both export and domestic markets. Concerns around malpractice (substitution of kangaroo meat for beef and inappropriate use of chemicals) in the meat industry resulted in the Royal Commission into the Australian Meat Industry that reported in 1982. This period was characterised by reforms in marketing arrangements for a number of agricultural commodities, including eggs, milk, grain handling, fruit and fertilisers. The state of the soil resources across Australia was of concern during the McColl era. Soil conservation was primarily a state responsibility, however combined with droughts, soil erosion, soil degradation, soil salinity and soil acidity became issues that required more than a focus on engineering aspects and needed funding. Commonwealth funding was provided to the states on a temporary basis from the mid 70s and from 1980/81 saw the commencement of the National Soil Conservation Program funding for a five year period. 1979-80 –the Commonwealth moved to halve the level of funding for CESG. In 1981 the Commonwealth exited totally from the CESG scheme. In most cases the gap was not filled by State investment in extension. The Commonwealth was also withdrawing funding for the Australian Plague Locust Commission, reducing its contribution to 50%. Following discussions, administrative responsibility for the Australian Plague Locust Commission was transferred from the Commonwealth to NSW Agriculture. The Commonwealth Council for Rural Research and Extension operated for several years during this period and sought to consider priority setting for industry sectors and cross-sectoral themes. At the time of the early 1980s drought, concern was expressed at the level of Commonwealth support and the trigger levels set for drought support. Impacts of drought and need for adjustment became clear and by the mid 1980s considerable change had occurred utilising both Commonwealth and state government funding. In 1983 the Commonwealth introduced additional drought measures including fodder and interest rate subsidies, however these were not adopted in SA. Animal welfare became a major policy issue at this time. Recognising differences between states it was agreed that codes should be a uniform as practicable between states. In 1983 the Australian Agricultural Council endorsed codes for pigs, domestic fowl, road transport of livestock, and rail transport of livestock. Following extensive discussion between the Commonwealth, state governments and industry, the Commonwealth introduced plant variety rights legislation for all plant species in 1982. Initial advice and discussion for closer economic relations between NZ and Australia occurred in 1980. Agreed arrangements applied from January 1983 and ramifications for the Australian dairy, horticulture and meat sectors were being felt by the mid 1980s. The report of the Baulderstone Committee (of which McColl was a member) titled “Innovation in Agriculture” was released in early 1983. There was general support for the recommendations relating to policy guidelines, levels of assistance, underwriting, innovation in agriculture, taxation, resources management and the financial system implications for the rural sector. However it is unclear as to the impact this report had on Australian agriculture. The restructuring and streamlining of statutory marketing authorities. The establishment of a single meat inspection service. The continued improvement in the performance and efficiency of the export inspection service. The restructuring of the marketing, research and consultative aspects of the meat and livestock industries. Finalising the objective system of meat product description for introduction into export meat works on October 1, 1983. The establishment of a National Soil Conservation Program. A review of the efficiency of existing taxation concessions in promoting investment in primary industries. Reforming the national research and development sector, which led to the formation of the Research and Development Corporation model. A more active involvement in horticultural industries. In July 1984, Kerin noted that the economic position of rural industries in Australia was declining in part due to the disruptive trade policies and agricultural policies of the USA and the EEC. Sir Alan Callaghan was commissioned to report on "A Review of the Department of Agriculture in the Light of Changed and Changing Needs". While the report was completed in December 1973 and was accepted by Government, the recommendations were generally not acted on until after the appointment of McColl. Recommended the establishment of a Deputy Director to allow the Director to operate more freely within the national and international scene. Placing the Vertebrate Pests Act within the Minister of Agriculture’s portfolio, leading to transfer of Vertebrate Pests Control Authority and it staff to form a Vertebrate Pests Branch in the department. Transfer of administration of Rural Assistance Schemes from Lands Department to Agriculture and Fisheries. Downgrading of the Minister of Agriculture Department, as a department separate from the Department of Agriculture, and re-designating it as Office of the Minister of Agriculture, an administrative branch of the Department of Agriculture and Fisheries. McColl was appointed to the senior management structure as established by Irving in 1971. It was based on a Director of Agriculture and the three functional Assistant Directors. The fisheries function was transferred to the agency in October, 1975. The decision by Government to regionalise services required a fundamental change to the organisational structure of the Department. This is clearly reflected in the evolving structure of the Department from 1978, to 1982 and then 1985 (see attachment). McColl was of the view that change of this magnitude could only be achieved by reducing the influence and authority of Branch Chiefs, while establishing the regional management structure and then delegating responsibilities across all areas of the agency. This was also a time of considerable expansion of the public service generally, including agriculture. It heralded a period of increasing resources to support the processes of government, particularly staffing of Minister's offices. This created an expectation of greater levels of support for the political process and engagement of the public via the Minister's office. Management team around 1983 (L to R Pat Harvey, Harry Shaw, Peter Trumble, Jim McColl, Geoff McLean - Executive Officer, John Potter and Arthur Tideman). Photo provided by Peter Trumble. For the first time in its history a position specifically to carry out the duties of a deputy head was created in the Department. This had been recommended by Callaghan, and came about in 1974 to enable the Public Service Board to appoint a clearly labelled top executive. This brought some stability to the Department without contravening the Government's embargo on filling vacant head of department positions throughout the Public Service (pending final decisions on the recommendations of the Corbett Enquiry). In previous years, dating back to the 1930s, specific officers had been 'designated deputies' (RC Scott for Spafford, RI Herriot for Callaghan and AJK Walker and HCP Trumble for Irving). The responsibilities to act as a deputy were an add-on to the main senior job in the department and dominated the incumbent's work. Deputising for the Director was usually required only when the head of the Department was absent from duty for a significant period of time because of illness, leave or absence interstate of overseas. When HPC Trumble was formally appointed deputy director in March 1974 he immediately became acting Director and continued in this role until the appointment of JC McColl as Director of Agriculture and Fisheries in July 1976. Thereafter and for the first time both a Director and a Deputy Director were operating together. Trumble served substantively as Deputy Director until his retirement in January 1983. During that period he was seconded for a total of nearly two years to positions outside the Department. This included four months as a member of the Public Service Board and then 18 months as financial management consultant to the Council of Roseworthy College. In July 1976, Trumble was appointed as the inaugural Chairman of the newly established Pest Plant Commission. When the administration of the Vertebrate Pests Control Act was transferred to the Minister of Agriculture, Trumble was appointed Chair of the Authority. After Trumble's retirement PR Harvey was appointed Deputy Director-General and continued in that role under McColl and later Radcliffe. McColl made a number of changes to his management team and executive structure primarily to implement the government's regionalisation objectives. At the early stages the structure consisted of a Director of Agriculture, a Deputy and three Assistant Directors (Research and Extension, Fisheries and Administration and Finance). Under this structure were the industry divisions and support services, each reporting through one of the Assistant Directors. A Director of Fisheries was added to the management team some two years after the transfer of the Fisheries Division to the Department in 1975. By 1982, McColl had completed the integration of the regional structure into the Department with a Director-General, a Deputy and three Overview Directors. The Chief Regional Officers reported through one of the Overview Directors and the industry divisions through another. By 1985 further changes had been made to the structure with a Director-General and two Deputies along with a Director Policy and Planning. The Deputy Director-General Resources was responsible for the support services, the other Deputy for two consolidated Divisions, Animal Services and Plant Services. Details of the structures and leadership appointments are provided in Attachment 1. Two long serving Branch Heads in Tom Miller (Horticulture) and Graham Itzerott (Dairy) retired in the early years of McColl’s term, as did Viv Lohmeyer, Scientific Liaison Officer and Executive Officer. Assistant Director, Administration and Finance. With the retirement of HC Matthews in 1977, Barry Grear, was recruited. He brought the management of the various administrative and financial services to a high level of efficiency, effectiveness and relevance. He later became Deputy Director General before moving to other public service areas. John Potter, formerly a Principal Livestock Office (Meat), was the first head of the Policy and Planning Unit. With the advent of regionalisation he became the Director Regional Operations and also oversaw the work of the Rural Assistance and the Extension Services branches. Patrick Harvey, formerly Chief Veterinary Officer, became Director, Animal Industry, later Deputy Director General and later again, heavily involved with SAGRIC International. Peter Trumble's, involvement has already been covered. He took early retirement in January 1983. John Radcliffe, having been a senior dairy research officer and Officer-in-Charge of the Northfield Research Centre, joined the Policy and Planning Unit as Principal Officer, Research Management in 1977, and succeeded Potter as head of the Unit as regionalisation became established. He then succeeded McColl as Director General in 1985. Arthur Tideman Chief Agronomist in 1976 was promoted to Director, Plant Services. He also had a major involvement with the introduction of more effective weed control under the Pest Plants Act, and dryland farming projects in North Africa and Asia. 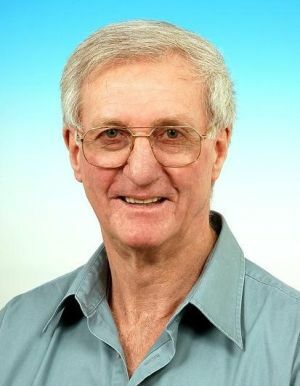 Lex Walker, retired as Assistant Director, Research and Extension in 1977 and went on to serve for some years as Chairman of the Australian Barley Board. This service was recognised by his appointment as a Member of the Order of Australia. Peter Barrow took over Lex Wallker's role as Assistant Director R&E but later moved to chairmanship of both the pest authorities and then to project leader in Iraq before a season on a project in Saudi Arabia before retiring. With the formation of the Division of Land Use and Protection, Reg French, formerly head of the Soil Conservation Branch was appointed its first Chief. The fisheries function was transferred into the Department (Agriculture and Fisheries) in October 1975. At the insistence of the Public Service Board the former Department of Fisheries was split into two sections, research and licensing/enforcement. The unsatisfactory nature of this arrangement became more and more apparent. After strong representation by the Department, the Public Service Board approval was given to establish a Fisheries Division combining all elements under one functional leader. This led to the appointment of Ian Kirkegaard, from within the Fisheries Branch, as head of the Division. With the return of a Liberal Government in September 1979, the Fisheries Division was immediately excised and became once more a separate Department of Fisheries, to honour an election promise to the fishing industry. A Policy and Planning Unit was established under JC Potter with a small staff (Radcliffe and Gary Oborn). Research planning was developed under Radcliffe’s leadership. A Research Policy Advisory Committee (RPAC)was formed under McColl’s chairmanship with some outside scientific and industry members. An analogous Extension Policy and Planning Committee (EPAC) was also formed at this time. Under the RPAC Review of Research Centres, all research centres were reviewed for their programs, and as to whether the substantial investment in real estate and infrastructure was warranted. The review of locations included cost/benefit assessments and considered continuing need. Some outcomes were the sale of dairy field research land at Northfield for housing and transfer of this function to a more appropriate site at Flaxley. There were other closures (e.g. Wanbi in the Mallee, Parndana Research Centre on Kangaroo Island and the transfer of Sims Farm to the Cleve Area School) and modifications to other operations. As recommended by Callaghan and Corbett, the Vertebrate Pests Authority was transferred from the Department of Lands to Agriculture early in McColl's term. The transfer worked smoothly with both central and district staff quickly at ease under Department of Agriculture management. Trumble was the first to chair both the VPCA and PPC followed by Barrow who paved the way for a latter merger of the two statutory bodies. The decision to transfer Rural Assistance from the Department of Lands to the Department of Agriculture was recommended by both Callaghan and Corbett. The move was welcomed by Department of Agriculture and Fisheries. It brought administration of rural assistance programs (involving distribution of mainly Commonwealth money as grants or low interest loans to eligible farmers) into an organisation with a framework which provided for support for recipients with financial planning and farm management advice. Regional staff provided important support through advice on industry difficulties and needs and through advice to clients. This improved the chances of farmers in difficulty trading out of their problems. Transferred staff were initially nervous but most settled into the new culture well. Grain inspection services were transferred to the Department from the Government Produce Department. Technically this transfer sat easily within the Department of Agriculture and Fisheries which had had 60 years of experience in administering Commonwealth legislation covering the export of other plant products (e.g. fruit, plants and seeds). Problems arose and had to be overcome because the wharf-based grain inspectors were employed under waterside workers’ industrial awards, quite different from other departmental inspectors under public service awards. The continued existence of the Minister for Agriculture’s office as a separate department was an unusual carry over from the post - World War I period. It provided support for the Minister of Agriculture, mainly in numerous miscellaneous responsibilities deemed to be extraneous to the Department of Agriculture. Corbett’s recommendation saw the office stripped of its departmental status but continuing the same functions as a branch of the Department of Agriculture and Fisheries. The head of the Minister's Office, Bob Walkerden was replaced by Leon Murray at this time. There was a comprehensive program of internal and external staff training projects, especially for middle level and senior managers. This was well organised by Chief Management Services Officer, Peter Crossley, and his staff. The program included a number of top level opportunities (Australian Administrative Staff College, University of NSW Graduate School of Management and Aspen Course, USA) which were underpinned the succession of senior managers in the Department for many years. This was complemented by in service training for middle level managers. McColl introduced the temporary assignment (3 to 6 months) of officers to the Minister’s office as Ministerial Liaison Officers. This enhanced the communication flow between the Department and Minister, and provided valuable experience about the ministerial interface for aspiring senior managers. By the mid-1980s the department had developed a well-balanced array of non-technical support services, staffed with competent and motivated people. Appointments, promotions, disciplinary actions, industrial issues, training and development, succession planning, occupational health and safety were the responsibility of Management Services. Files replaced the old Registry docket system. There was more effective liaison with Public Buildings Department on construction and maintenance of the vast array of departmental buildings and other property. Finance systems were improved with the introduction of some program budgeting, with closer relevance to departmental financial management needs. Move towards agreement with Treasury on more appropriate accounting practices, especially in areas like trading accounts carrying over between financial years to better provide for the realities of buying and selling livestock. This was a period of significant expansion in the use of computing systems and facilities for improving the efficiency of the administrative function as well as their introduction into many of the research facilities. With Transport the period saw integration of the use of government vehicles and the use of privately owned vehicles approved for partial use on official business. Also the Department was responsible for the oversight of a large fleet of special purpose and pool vehicles needed for field work which required competent and sensitive management by specialist officers. The Vertebrate Pests Act 1975 provided funding for scientific investigation of vertebrate pest problems, along with a State-wide statutory framework and a statutory authority to set appropriate policy. The Act provided for a strong system of local government control, under the general direction of the Authority, so that these policies were relevant to local needs and conditions. Originally committed to the Minister of Lands, it had broadly similar powers to the Pest Plants Act but was applied to vertebrate pests / rabbits, feral goats, dingoes and, in some localities, foxes. This Act came into effect on 1 July 1976 after many decades of assessment and attempts to more effectively use local government bodies as front line resources for “noxious weed” control. These attempts varied greatly in effectiveness, depending on motivation and availability of local resources. There was considerable resistance from existing staff who were unhappy about the transfer of the group from the Lands Department to Agriculture. In some areas good results were achieved largely through the voluntary dedication of leading farmers and individual elected members of district councils who became de facto weeds officers. In other districts it had been found that the voluntary grouping of councils as statutory weeds boards, under Part 19 of the Local Government Act, had worked particularly well. Against a background of increasing complexity of weed control technologies, the ineffectiveness of much of the effort by smaller councils and the success of the Part 19 boards, the new act provided a sound legislative base for major reform. The act established a Pest Plants Commission, chaired by the Deputy Director of Agriculture and Fisheries, together with the Department's Chief Agronomist, a representative of the National Parks Service, and three farmer/local government appointees with wide experience in weed control. The first action of the Commission was to determine that, outside of the metropolitan area, the formation of a local Pest Plants Board would depend on its ability to fund at least one full time qualified weeds officer. This often required the smaller councils to collaborate to form a representative board across these council districts. For the first time there was established a funding and enforcement mechanism which enabled the formation of competent and adequately resourced local bodies to manage weed control programs in their areas, meshing with the state-wide issue of dealing with new invasive weeds. Also recognised in the legislation were 'community pest plants' such as those infesting national parks and public reserves. Valid identification of the species of plant. The mass of seed and mass of other extraneous material. Any treatments applied to the seed. The Department administers the Act and maintains a laboratory to undertake the required analyses. In May 1976, the Minister of Agriculture established an Interdepartmental Committee to report on options for the implementation of meat hygiene standards in South Australia. This report formed the basis of the Abattoirs and Pet Food Works Bill of 1978. There was considerable resistance to the implementation of many of the report's recommendations, not the least of which came from the poultry meat industry which was aware of the questionable standards in some parts of the red meat industry, and did not wish to be included in the same legislation. a person nominated by the Local Government Association of South Australia. A single inspection service, provided by the Commonwealth, for all domestic abattoirs. The Canned Fruits Marketing Act 1980 responded to problems being faced nationally because of excess capacity, increasing costs and depressed international marketing conditions, especially in the EEC. The legislation mirrored national arrangements with the establishment of the Australian Canned Fruits Corporation to manage the marketing of canned fruit and state legislation that controlled the marketing of fruit produced in South Australia and marketed nationally. The Corporation estimated the amount of fruit that may be sold in a year and allocated a quota to the state. Fruit was to be sold globally in an 'equalisation market' with returns being distributed equally to canners. In 1982 the SA Government introduced a bill to make major amendments to the Institute of Medical and Veterinary Science (IMVS) Act, following several years of enquiry and public consultation. The principal purpose of the change was to bring the Institute's medical operations under much more effective oversight by the SA Health Commission and the Minister of Health. Many officers of the Veterinary Science Division had expressed concern that they might lose their valued close relationship with medical colleagues and access to their excellent laboratory facilities and some were also unhappy about a possible transfer to the Department of Agriculture. The Government, having assured the Veterinary Division staff that they would remain an integral part of the IMVS, then found that it was not workable to construct a new act of parliament having two ministers responsible for its administration. The bill, introduced on 3 March 1982, while leaving the Veterinary Science Division in its co-location with the medical divisions, shifted it administratively, from 1 July 1982, to become a Division of the Department of Agriculture, with staff appointments to be made under the Public Service Act rather than the IMVS Act. When this proposal became public on its introduction to Parliament, Veterinary Science Division staff were extremely upset and, in many cases, hostile because of the perceived failure of the Government to honour its promise to them. In view of this and to ensure a smooth transition, Trumble was assigned to take responsibility for the transfer and spent considerable time successfully working through issues with staff. Preparation for and introduction of the transfer of the Veterinary Pathology unit was assisted by two important steps. Firstly, Peter Trumble and Bob Smith (a senior officer of the Premier's Department who had a major involvement in drafting the legislative amendments) spent a day in Melbourne with senior staff of the Victorian Department of Agriculture animal health units. This was very valuable in providing a feel for what could be involved in the transition in SA from the existing client/consultant interaction to a situation where both field and laboratory operations were managed within the one organisation. The second step was even more important. Soon after the transfer from IMVS to Public Service employment, three two day residential workshops for the transferring staff were held. Attendance was not compulsory but almost every member of the Veterinary Science division attended. The workshops were organised and led by Lois Grant, a lecturer in Organisational Behaviour (Communication) at the South Australian Institute of Technology (now part of the University of South Australia). She was supported by Departmental Management Services officers and a few senior agricultural people who would have some involvement in the future. The workshops were extremely successful in helping staff handle what some saw as an unwelcome (and perhaps threatening) change and to start to feel more comfortable under a new management regime. Soon after the transfer was announced, John Radcliffe was asked to undertake a review of the Division with the assistance of Barry Windle and acted as Chief of the Division while doing so, reporting in April 1983. This helped the new division to settle down and staff were able to adapt to a different organisational framework, despite the separate physical separation from the Department, the new division maintained its much cherished co-location with their medical colleagues in Frome Road. The Act, eventually passed in 1985, brought the IMVS under the control of the SA Health Commission and, as a corollary, completed the transfer of the Veterinary Science Division to the Department of Agriculture, with its staff to come under the provisions of the Public Service Act. This act repealed the Vertebrate Pests Act 1975 and the Pest Plants Act, 1976 and established a controlling and funding mechanism for dealing with both pest plants and pest animals through local boards analogous to those set up under the Pest Plants Act. These operated under the aegis of a statutory Animal and Plant Control Commission. It was a priority task for McColl as Director to ensure that a regional management system for all appropriate departmental services was designed and implemented. This fitted his strong belief in the need to base Departmental operations on a close understanding of environment facing industries and growers, and their needs. This could be best achieved by having management and responsibility at the coal face. Resistance by some branch heads to the “loss” of their subject matter specialists and influence to regional control. Eventually the basic structure of regional management teams was agreed – a chief, a research leader, an extension leader and an administrative officer with clerical support, and one or more regional specialists appropriate to regional needs (usually including at least one farm management economist). Extension and regulatory programs had to be delivered from District Offices, strategically placed, and research programs from existing research stations. Five regions were established over a 3 year period (South East, HQ Struan - 1977; Murraylands, HQ Loxton – 1978; and Eyre, HQ Port Lincoln; Northern, HQ Port Augusta; and Central, HQ Adelaide - all in1979). The new regional approach gradually settled down assisted by good appointments to leadership positions and the important work of a Director, Regions and Extension, at executive level. In most cases close working relationships were developed with specialists in the Divisions. By and large the system was working well by the end of McColl’s term. When McColl was appointed Director of Agriculture and Fisheries in 1976, the Department had recently commenced its first overseas project in Libya. McColl had considerable overseas consulting experience and was pleased to support and promote the project. The team on the ground in Libya was experiencing difficulties in operating in a foreign and difficult environment where communications were primitive. McColl used his international experience along with the relationship he had developed with senior Libyan officials to steer the project to a successful end point in 1980. The Federal Government had resisted the project from the outset, claiming that it was damaging Australian and US relationships. This view was ignored and the project continued. Considerable disquiet was being expressed by the farming community in SA. They saw some of the more experienced officers working on overseas projects and often not being replaced in a timely manner. The Advisory Board of Agriculture was particularly critical and demanded action. The criticisms gradually faded as projects drew more and more positive public support and delivered benefits for Australian based machinery, seed and equipment suppliers. While the trade of machinery, fencing material and seed were strong in the early stages of overseas projects, the benefits had waned by the end of the McColl period. McColl understood the need for the department to develop a specialised unit to both manage existing overseas projects and to tender effectively for future opportunities in a highly competitive marketplace. Establishment of the Overseas Project Unit occurred in 1979, initially under the temporary leadership of Arthur Tideman, followed by the appointment of Bob Hogarth with a small number of staff. This greatly strengthened the department’s management capability in this area. Further experience soon showed that a fully commercial framework was needed and this led to the establishment of Salger Ltd., a wholly-owned SA Government private company which converted to SAGRIC International Ltd., as opportunities widened. By the end of the decade projects had been developed and funded in Algeria, Iraq and Jordan. Brian Chatterton’s strong interest in the international arena and eventual dissatisfaction with the operations of SAGRIC came to a head in early 1983 with public ventilation of issues in the press and Parliament, leading to the resignation of Chatterton as Minister and later quitting parliament. SAGRIC International was generally successful, widened its range of activities outside of agriculture and increasingly separated from the department. It was eventually sold as a going concern. 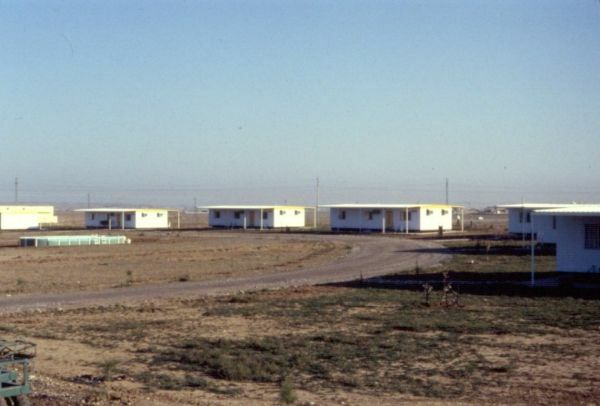 Houses at the project site, Erbil Iraq. Photo provided by Peter Carr. The IAC was established in the mid-70s by the Commonwealth Government as a primary mechanism for assessing the extent and nature of government financial support for Australian industries. McColl considered it essential for his Department to make well-considered and effective submissions to the IAC on all matters affecting the State’s rural industries. Early on, he was appalled to find two quite different thrusts of draft submissions on fertiliser subsidies in the process of preparation – one from within the Soils Branch and the other from the Economics Branch. Also it was common for regional staff with their 'industry/regional good' approach to be at loggerheads with the more 'purist' approach by the head office economists which often overflowed into political tensions. McColl immediately instituted procedures to see that in future IAC submissions were coordinated between the relevant sections of the department to lead to a single cohesive submission. The underpinning of productivity improvements through the development and delivery of new technologies became a core and fundamental role of the Department. Various reviews since the 1950s have reinforced this role. Callaghan's review in 1974 was no exception. While Irving took actions and established the Research Policy Advisory Committee and a Research Liaison Committee in each region, it was during the McColl period that most progress was made in establishing a strategic priority setting mechanism. This coordinated research and development internally and linking this to delivery structures established under the new regional structure. Research priorities in the Economics Division 1982. Research priorities for the cereal sheep zone - a farmer's point of view 1983.
Review of research centres 1983. Ruminant industries research review 1984. Reviews were also completed on the citrus industry and weeds. These reviews resulted in considerable reshaping of the research priorities across the agency and positioned it well to move into the emerging environment of substantially greater levels of industry support for R&D. The Research Management Committee was the internal structure that implemented the reviews and coordinated R&D across the Divisions and Regions. Resources to drive the changes were provided via the creation of the position of Principal Officer Research Management and appointment of John Radcliffe to the position. 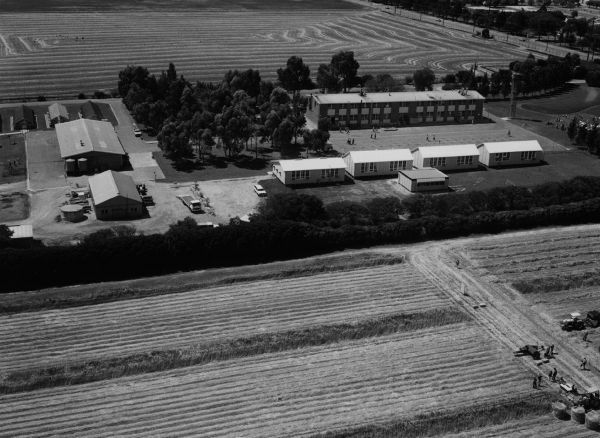 Aerial view of Northfield Research Centre, November 1978. Photo Number 108302 (Agricultural History of SA Photo Database). McColl, from his consulting days, understood extension and played a major role in raising the quality and delivery of extension services through the revamped regional services. A key component was to take more than 200 front line staff through in-service training to ensure that extension programs were strongly focussed on sound economic parameters. Furthermore he was the instigator of a farm systems approach to extension (and to a lesser degree research) in SA. Again this was based on his consultancy experience and it led to more integrated programs involving several aspects of the farm operation including land management, farm business and risk. This in part led to innovations in farming systems like reduced tillage, control of soil pathogens and better weed control. In an opening an extension workshop in 1979 McColl outlined the changing face of Australian agriculture with global competition and competing industries reducing the profile of agriculture. He argued that no longer could farmers remain competitive by increasing productivity. Rather "farm managers will require more information, covering not only technical, but also socio-economic, financial and marketing areas including farm machinery.... and better information". Hence the introduction of regionalisation, with extension services delivered at the local level under the leadership of a generalist Senior District Officer. McColl formed an Extension Management Committee with wide representation across the organisation to ensure that program planning and delivery was best practice. He encouraged closer working relationships with private consultants although many of these saw Department extension as unfair competition (being free). Up until the 1980s the various elements of land management were delivered independently. Early soil conservation programs and associated soil conservation boards, were serviced by the Soils Branch. The boards were responsible to the Advisory Committee of Soil Conservation and were implemented separately from weeds and vertebrate pest control. The latter functions were primarily the responsibility of local government. The establishment of Soil Conservation Boards was slow. Only five boards were established up until 1983, these being the Murray Mallee, Murray Plains, Yorke Peninsula, West Broughton and the Upper Eyre Peninsula boards. A further four boards were established between 1983 and 1987, reflecting a greater recognition of the importance of land management/ conservation as an integral part of a whole farm systems approach. The Northern Flinders Ranges Soil Conservation Board, was established in 1988. This was a reflection of the increasing interest and emphasis of the Department of Agriculture in the pastoral regions of SA. Others followed to cover much of the pastoral zone as the approach moved from regulation (under Lands) to better rangeland management. In the early 1970s at Loxton Research Centre, appointments made in the areas of irrigation extension, irrigation and salinity research, as well as a number of crop specialists, entomologists and pathologists. With the realisation that on-farm measures were needed in addition to engineering solutions, the Minister of Water Resources and Minister of Irrigation led an overseas trip with the Chief Executives of the SA Department of Agriculture and Engineering and Water Supply (E&WS) Department to inspect irrigation management systems in several countries. The trip in mid 1980 visited South Africa, Israel and USA. This trip, along with subsequent discussions more clearly defined roles and responsibilities for each agency. It was agreed that the separation of responsibility was at the farm gate, with the E&WS having responsibility for water supply to the farm gate and Agriculture being responsible for on-farm activities. A collaborative approach was developed and Commonwealth Government funding secured for a suite of on-farm projects to augment the water supply projects funded up until this time. The River Murray Irrigation and Salinity Investigation Program (RMISIP) was established. It was one of the largest externally funded programs in the Department at the time and was the national leader in the development and adoption of improved irrigation technologies. It also had wide recognition overseas for its work. The main outputs from RMISIP were a range of on-farm irrigation management tools, the establishment of an irrigation testing and evaluation program and delivery of the new technologies via the Irrigated Crop Management Service (ICMS). The irrigation equipment testing and evaluation program initially aimed at assessing the performance of equipment and using this information in advisory services. There was however significant interest from irrigation companies many of which engaged with the service in a research and development capacity. In the late 1990s this service was integrated with engineering programs at the University of South Australia to form the Centre for Irrigation Technology at The Levels Campus of the University. The ICMS was the delivery arm of RMISIP and the Department's programs overall. It developed a better understanding of the relationship between soil characteristics and irrigation management to apply the outcomes from the equipment testing program to on farm system design and management, and commenced a comprehensive scheduling service. There was a progressive move to self-funding of this service. During this period the ICMS enabled the Department to play a significant training role for specialists with an interest in establishing their own businesses. The number of irrigation consultants increased from a very low level in the 1970s and early 1980s to around 20 offering services to irrigators. These services were often in competition with the ICMS but still worked closely with the RMSIP team. A major initiative in delivering a comprehensive suite of irrigation and crop management services occurred in the late 1980s with the establishment of River Link. This was a collaboration between the South Australian, Victorian and NSW Government services at Loxton, Irymple and Dareton and the CSIRO Division of Horticulture at Merbein. Under this arrangement, which lasted for many years, SA took the lead role for irrigation and salinity management. The collaborative approach at this time essentially mitigated the impacts of salinity and water logging, and set the scene for more regionally based, comprehensive salinity mitigation schemes jointly funded by the SA and Commonwealth Governments. During the early part of this era Departmental scientists were regularly visiting countries specialising in irrigation technology and irrigated crop management. In particular visits were made to the US, Israel and Netherlands. By the end of this era the reverse was occurring with specialists often coming to Loxton for sabbaticals and study tours. It is fair to say that RMSIP/ICMS and what followed made possible other measures which had huge impact on water use, including water trading, water pricing, water buy back etc. This would have been difficult but for the efficiencies created by work at Loxton. Irrigated crop management services and computer controlled irrigation systems will be extensively used. The increased interest in irrigation and more effective water allocation and use, led to a major rethink of policy and to the formation of the Murray Darling Basin Council and a new look MDB Commission based not just on engineers but with agricultural and environmental interests. A significant drought event occurred over several years in the late 1970s and 1980s. The impacts of this drought were more profound than previous events due to the high interest rates at the time along with oversupply in some industries, and increased subsidies globally impacting Australia's competitive position, resulting in lower returns to Australian producers. Conditions on Eyre Peninsular were particularly severe leading to widespread wind erosion and drifting of soil onto public facilities. As a result many farmers faced severe hardship and were forced to sell their properties. The Commonwealth and SA Government's provided a comprehensive suite of assistance measures to drought affected farmers. In addition to low interest loans, subsidies were provided for the purchase and transport of fodder and water. Fodder subsidies were removed in 1983, and the Commonwealth announced an IAC review of the Rural Adjustment Scheme. Visit to Eyre Peninsular by the Advisory Committee on Soil Conservation. 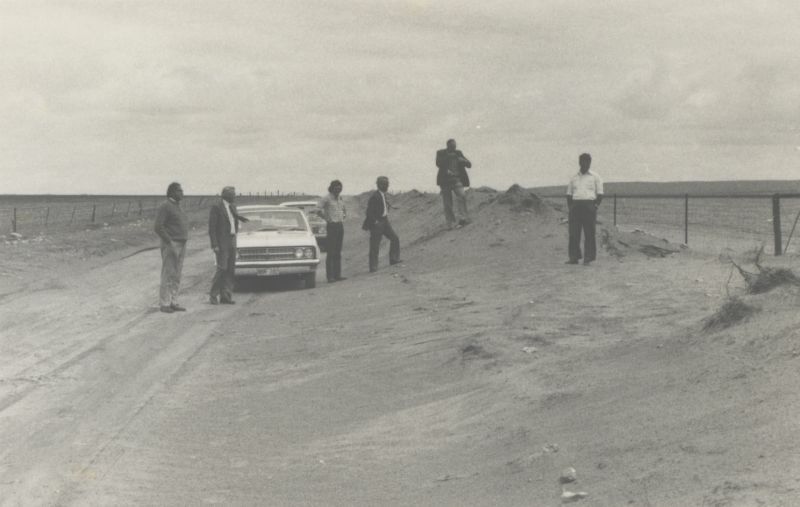 Inspecting sand drift onto a road during the 1977 drought. Photo Number 107218 (Agricultural History of SA Photo Database). The Department provided assistance to the state's horticultural industries with the formation of an industry based Horticultural Export Development Committee, with Geoff Thomas as Chair, and the appointment of two Horticultural Market Development Officers, Ian Lewis and Tim Deer. The purpose was to share export experience between members and to forge closer links with the services provided by Austrade. It also sponsored trial exports of some commodities to UK. A national equivalent was formed and did much to develop cold chain management protocols, more secure dock and airport commodity handling, and product insurance. In the early part of McColl's term there was increasing interest and concern around farm machinery and farm mechanisation. There was greater emphasis on the economics of larger machinery and economics of scale, machinery syndication, leasing as well as a perceived need for an independent mechanism to adjudicate differences between growers and machinery manufacturers and retailers. 50% of farmers who responded said there was insufficient unbiased information available about products on the market. 66% claimed there was no course of action to resolve issues with faulty machinery. 10% of farmers responding were currently involved in a dispute with a supplier. 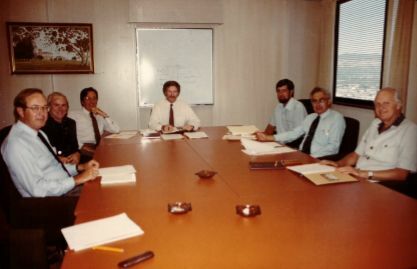 This led to the formation of the South Australian Agricultural Equipment Liaison Committee in 1983, chaired initially by Peter Trumble, followed by Mark Seeliger, and comprising representation from grower organisations and the machinery industry. Its main task was to resolve complaints about machinery where communications on a face to face basis could assist rather than legal action or unproductive exchanges between the farmer and machinery manufacturer, importer or dealer. Applications were made through the SA Farmers' and Stockowners' Association which would not pass them onto the Committee unless there had been face to face discussion between the farmer and supplier. This greatly assisted in the operations of the Committee because most problems were sorted out by direct contact between the parties. Along with the establishment of the Liaison Committee and reflecting the importance of innovative approaches to the use of farm machinery the Department appointed two Senior Farm Mechanisation Officers, one based at Cleve and the other at Kadina. By the early 1990s very few complaints were being considered by the Committee and it was seen as a success and the Committee was wound up. 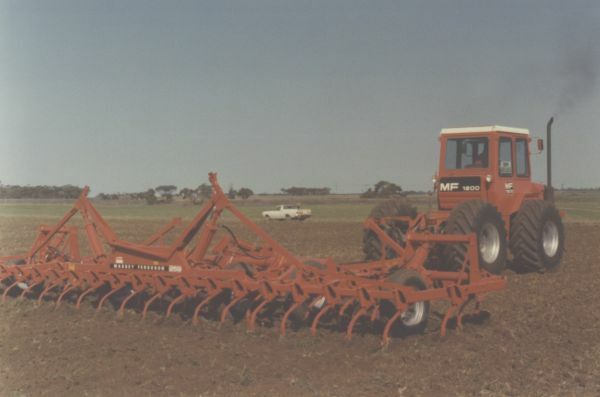 Demonstration of cultivator at the 1979 Wanbi field day. Photo Number 107241 (Agricultural History of SA Photo Database). The McColl era was a challenging period in terms of reviewing and in some cases eliminating some of the industry regulatory activities of the post - World War 2 period. These were generally the responsibility of the Commonwealth, however required agreement of the states and territories to implement the changes. Deregulation of egg marketing arrangements, hen quotas and milk supply were implemented. Price support mechanisms were considered and in some cases implemented (for eggs, wheat, dried vine fruits and apples and pears). The expansion of UHT milk sales and the move to deregulate milk supply was actively pursued. At the time there were restrictions on the movement of fresh milk across state borders, while similar restrictions for UHT milk were not in place. In 1984 the Commonwealth Government's intention was to develop national marketing arrangements for milk to promote efficiencies in production and distribution of milk and dairy products. This required the removal of the strong regulatory environment imposed by state governments. In 1984 the Commonwealth Government announced the termination of egg marketing arrangements. The SA Potato Marketing Act 1948 (and the SA Potato Board) was established after WW2 to address over supply and a chaotic potato marketing system. The SA Potato Board improved the distribution of potato marketing information and fostered development of new products and marketing strategies. The Potato Marketing Act 1948 was repealed in March 1986. Grain handling and storage were issues. Also control of grain supply to various export markets. SA sought support for the canned fruits industry and to keep the Riverland Fruit Producers Cannery operating. $2.25 million was approved along with the introduction of a canning fruit tree pull scheme. However in 1984 Minister Blevins advised of the closure of the RFP Cannery and establishment of the Riverland Council for Redevelopment. During this period there was a reduction or complete removal of fertiliser and fuel subsidies which had an immediate and long term impact on agricultural producers. McColl had never intended to stay in the Director General’s position long term. He resigned in September 1985 to take up a full time appointment in Canberra as an Industries Assistance Commissioner, followed by appointment as a Royal Commissioner into Grain Storage, Handling and Transport (1985-88). For the next 30 years, Jim McColl served in a wide range of capacities which contributed powerfully to many changes in the interaction between Australian primary industries and government policies. Chairman and Managing Director, SAGRIC International 1979-1985 - Developed international consulting in SA with the aim of encouraging economic development of export industries supporting agricultural development. Initially developed as a unit in the Department of Agriculture, then spun off as a company SALGER Pty Ltd for the first project in Algeria, subsequently renamed SAGRIC International. The company was later sold by the SA Government to Coffey and Partners where it continued to operate independently until being incorporated into Coffey International in 2006. Member, Baulderstone Committee 1982-83 - This report, Agricultural Policy – Issues and Options for the 1980s, had 112 recommendations and resulted in many important changes. It recommended exchange rates being set by the market, protection to agriculture should be reduced, tariff protection not be introduced to agriculture on a basis of efficient resource allocation, markets for wheat, milk and sugar be freed up, competition be encouraged, noted that the next decade would see a revolution in information storage, analysis and dissemination, noted that agriculture’s past success had hinged critically on innovation but that Commonwealth expenditure on agricultural R&D had progressively declined since 1976-77 and it be increased. These recommendations had a major impact on macro-economic policy but also on technological science, among other things confirming increased commitment by the Commonwealth to support Soil Conservation and agricultural research (laying the foundation for the Year and Decade of Landcare in 1990s and Natural Heritage Trust program, and confirming Commonwealth matching funding for R&D investment by Australia’s rural industries and restructuring of Agricultural Research by Minister John Kerin in late 1980s). Commissioner, Royal Commission into Grain Storage, Handling and Transport in Australia 1986-88 – Led to the restructuring of the Australian wheat industry, and the development of the Grains R&D Corporation, which has become Australia’s largest rural research and development investing organisation. Continued Consultancy – Jim formed a new consultancy partnership with John Cary whom he had worked with at the IAC (McColl Carey and Associates) and worked mainly on project briefs. Chairman, Selection Committee, Grains R&D Corporation 1989-1995 - Chaired the first two selection committees which recommended to the Minister for Primary Industries the membership of the Grains R&D Corporation which has arguably become Australia’s most successful primary industry research and development organisation. Chair, National Review of Agricultural and Related Education 1990 - This report, which recommended a rationalisation of agricultural education and strengthening of remaining key institutions, was resisted by many and had little immediate affect other than leading to the creation of the very successful Tasmanian Institute of Agricultural Research. This joint venture between the University of Tasmania and the Tasmanian Department of Agriculture and successors was very successful. The report is now recognised to be still relevant and was revisited in 2007 via a major national Conference and Workshop led by the Australian Institute of Agricultural Science and Technology. Chair, Review of Rural Adjustment Scheme for Commonwealth Government 1997 - This seminal report recognised that most rural adjustment occurred despite government-supported rural adjustment programs. The report underpinned the need to move from direct subsidy of agriculture in difficult times to encouraging self-reliance in agriculture (albeit with some subsequent recidivism among Ministers in times of adversity). McColl confirmed that maintaining livestock on the farm in times of drought encouraged serious long-term environmental degradation. Chairman, Australian Fisheries Management Authority 1992-2000 - Confirmed the use of science-based population dynamics as the basis of fisheries management, and integrated fisheries management between the Commonwealth and States. Research Fellow, Policy and Economics Research Unit, CSIRO 2004-2011 - After completing a range of consultancies for governments and at an age when most of his fellow colleagues had retired, McColl joined CSIRO as a Research Fellow (albeit having never being employed by CSIRO during his formal career). He brought an understanding of water policies, farm management and economics to bear on the research conducted in the Policy and Economics Research Unit of CSIRO. McColl’s mentoring role has resulted in the outcomes from this group being significant in developing the National Water Initiative. Subsequently Land and Water Australia and CSIRO funded Professor Mike Young in the University of Adelaide to independently research water policy options with McColl in a project entitled With the Wisdom of Hindsight: Reconsidering institutional arrangements for Water. 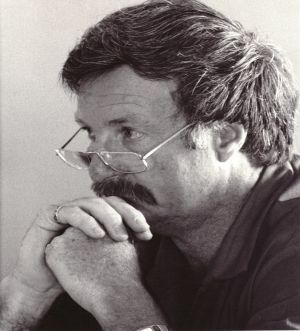 McColl, still in CSIRO, contributed as a referee and mentor for developing new concepts which were published in twenty 'Droplets' as thought-starters and which had a significant impact on Australia’s water policies. Sadly Jim McColl died in October 2013 after a long battle with cancer. This article was prepared by Peter Trumble (former Deputy director-General of Agriculture) and Don Plowman (former Deputy Chief Executive of PIRSA). The authors acknowledge the contribution made by John Radcliffe, Geoff Thomas, Barry Philp, Glyn Webber, Arthur Tideman, Mark Seeliger and members of the History of Agriculture Working Group. By the end of the McColl era the management structure was modified again with consolidation of the Divisions into two management groups.